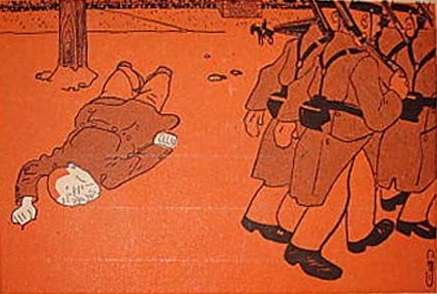 Several reasons contributed to the weakening of the anarchist movement after WWI: the fact that some anarchists, like Kropotkine, Jean Grave and Charles Malato rallied to the cause of war; also the libertarian soviets of the Russian Revolution turning into centralist authoritarians; so too the defeat of the Spanish Revolution first by the communists and then by Franco; and perhaps its inability to organize effectively. But anarchism was not dead. As the older anarchists were dying off, younger ones took up the banner. Names and faces changed but the spirit remained the same and the call to action kept ringing out. Séverine also continued to mobilize public opinion for noble causes. “What I hate most in the world is injustice!” Always more libertarian than socialist, she cared less for theories and subtle arguments than for action and real change. She always defended the man or woman, innocent or guilty, standing alone before the all-powerful justice system of the State, which earned her a reputation for defending those whose cause she did not necessarily espouse. As a Pioneer of anti-racism, she called out “to free the white race from the irons of prejudice” while she denounced fascism and its “fanatic horde” when it first raised its ugly head in the 1920s. As post-war Europe was finding prosperity again and trying to forget the trauma of its latest slaughter, a surge of violence rose up out of the buried trenches. Séverine rose up against them: In Spain Primo de Rivera; in Bavaria “that little” Hitler; and in Italy one man incarnated it—Mussolini. One recurrent theme of her final writings was the threat that Mussolini and fascism presented to Europe and the world. She would not live through the war he ushered in but she felt it coming and urged people to prevent it. 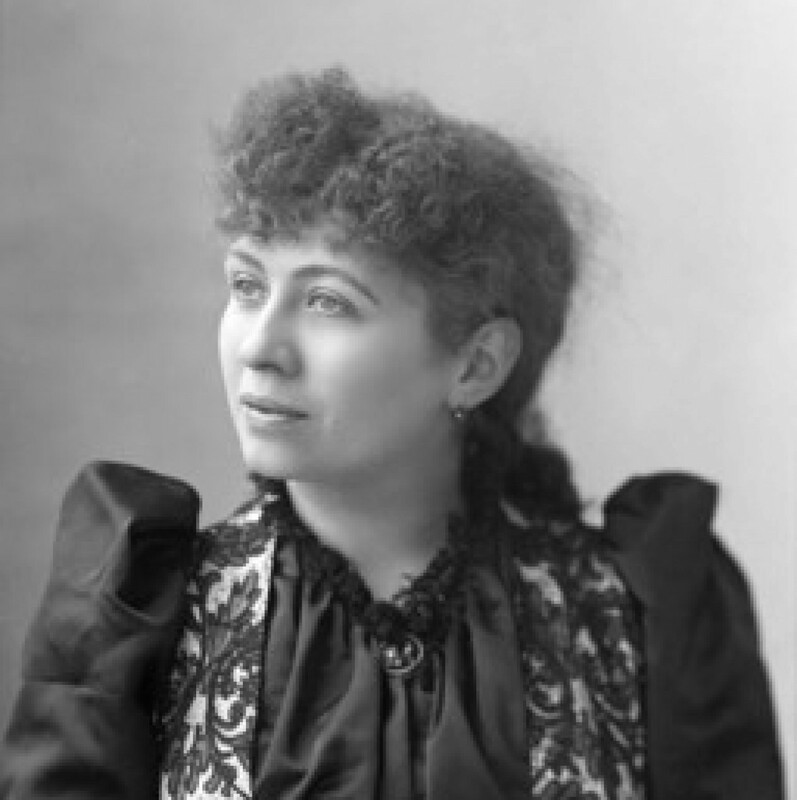 In 1903 in Médan she spoke long and movingly on the first anniversary of Zola’s death. Two years later 120,000 people came to the Gare de Lyon to meet the coffin of Louise Michel, dead in Marseille while giving conferences at 85 years old. 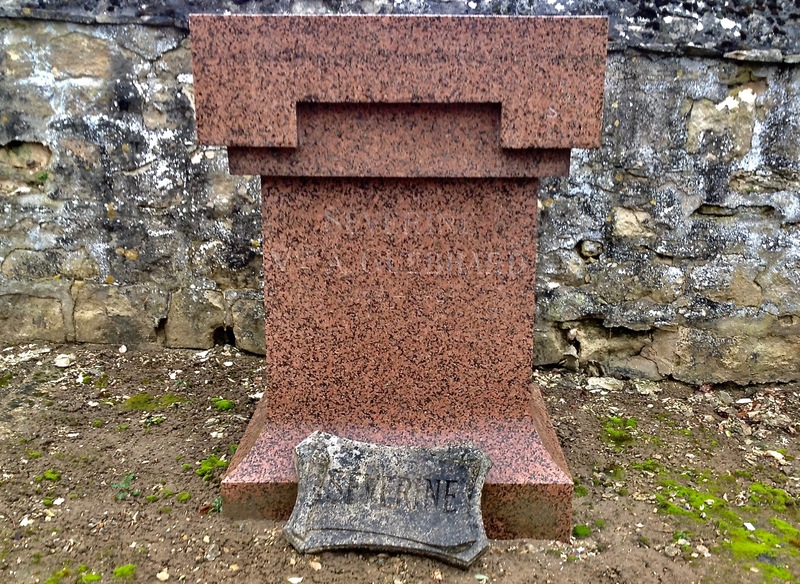 Séverine was asked to give a speech at the cemetery. As public speaking had once become one of her talents and sources of income, so too did giving eulogies. She was promoted to the rank of professional mourner. In her seventies Séverine continued to write, giving articles to provincial papers and weekly columns in Paris dailies that asked her to contribute to their first issue, acting like a godmother, as Vallès had said she was of the Cri so long ago. Her last article was sent from her bed on February 16 to La Volonté, only two months before her death. 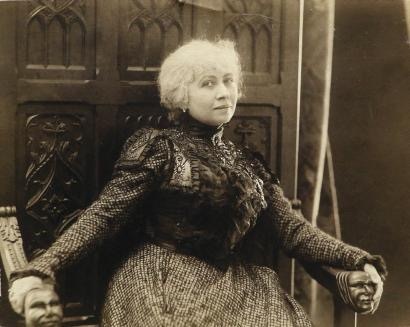 She died on April 24 1929 in Pierrefonds. The final words of her rebel life, spoken to her friend Georges Pioch, were “You have to work and you always have to tell the truth”. She was buried in Pierrefonds on April 27, her 74th birthday. The day was chosen because it was a Saturday and workers could come. A special train was reserved from Paris to the small town in the Oise. In the background, more than 2,000 followed her remains to the sound of Chopin’s “Marche Funebre”. In the foreground the long-lamenting song of a beggar drags on. Curtains down. Fade to black. Felix Pyat, who was a great stylist and remarkably learned, loved to tell the Hindu fable that I am going to relate. Truth, who is a goddess, but who is also a woman, started feeling that staying in the depths of her well was getting a little tedious. Therefore, she decided to go back up to the surface and get back in touch with humans. Maybe they were better after so many centuries when their excesses and depravity had forced her to seek refuge underground? Besides, her curiosity was piqued… everything must have changed a lot? The fashions were obviously not important to her, seeing her traditional suit, but their hearts and minds, their customs and relationships? And what might they think of her after all this time for them to get used to her absence? She took the risk… When she came over the edge, children greeted her by throwing stones; women heaped insults on her because of her garb, or lack thereof; the village watchman ran up to protest; the priest mumbled exorcisms, slammed the door in her face; the schoolmaster got scared and made all the kids face the wall when she showed up; the men at arms threw an old coat over her and brought her to the city. The judges found her guilty of public indecency and the people jeered her. She faced all sorts of misery and insult, saw lies victorious everywhere and sincerity gagged. Then she went back to her hole. But before going back down, in anger at the thrashing she had got, she threw her mirror on the ground and broke it. Her loyal followers patiently gathered up the pieces, then tried to put them together again, to rebuild the symbol. But they never managed to succeed; it is still missing one piece. Thus the Cri du Peuple of the past, serving one truth, had to become the Cri des Peuples of today by multiplying. The world was grand in 1871, when in the midst of the tempest Jules Vallès launched what he called a “neighborhood firebrand”. Every nation considered its people special, very distinctive, above all devoted to national industries. They fraternized when the soldiers of the [National] Convention brought up new ideas; they fraternized at a distance in 1830 and 1848; but the insurrection of 1871 produced no echoes except in the still stammering Second International. Even after the Empire was overthrown, we bore the charge, in Europe’s eyes, of having declared war and remaining combative. As witness, before the Investigative Commission on the causes of the movement, [Adolphe] Thiers’ statement calling it an “explosion of patriotism”. Every people was full of nationalism. Now, given that science has reduced space, the world is small. The air has been conquered, the globe is no longer enough for man’s ambitions as they start to dream of other planets that they will try to reach tomorrow. Although the three great races separated by skin color remain so because of climates, their inner subdivisions, despite the rivalries, conflicts and wars, are breaking down every day. Nations are tending to be no more than provinces. Tomorrow let Europe be threatened by the Yellow Peril or the Black Peril and you will see not an alliance but a total, absolute union. That does it for the big picture. But in the heart of each of the provinces remains a portion of the native or annexed people, caged in obligation and submission, for whom, just like international solidarity is forbidden, so too is it prohibited to stay attached to their origins and traditions, all the more dear the farther they are separated so harshly. They are without a voice just like they are without rights. They are nothing but a piece broken off from the destroyed unity they belong to. In 1871 the effort could be limited to only one nation. Today all the points of the globe are rising up in protest and calling for justice. The enslaved minorities, national or conquered, have to make a sound; they have to make their demands heard, to express their suffering and hopes. 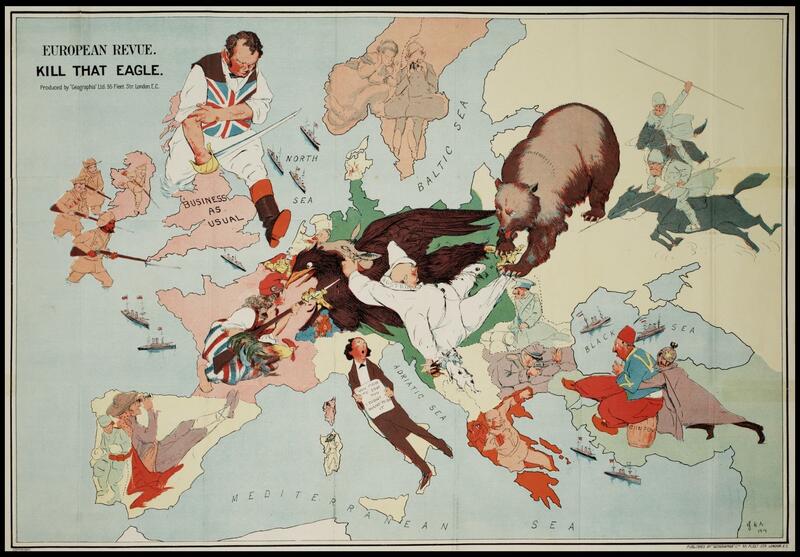 The treaties of 1918-19 have resolved nothing. They have only shifted the injustice, increased the confusion and the pretexts for conflict. We will not refer to the mirror. We will never know what secret negotiations led to certain break-ups and trickery. But we can study the fractures, gather up the fragmentary truths and try to get those who have been frustrated cynically to know at least some relief in expressing their grievances. The people cry out with chains around their ankles and chains around their wrists. The rumble is rising from deep in the fortresses, the prisons, from around the gallows and scaffolds. My poor old Cri du people, you would not be up to the task; there are too many! Here now is your descendent picking up the sack and the staff to travel the wide world and on the way, with the shards of the mirror, to collect the groans of the oppressed. 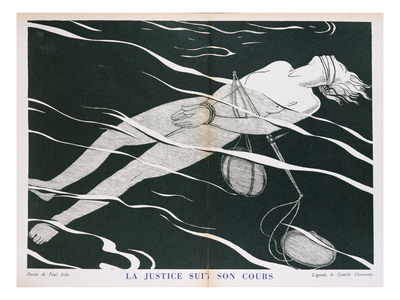 Le Cri des peuples, Issue no.1, May 1928. So, it’s been decided? America, having reached the height, the culmination of its power and prosperity, the creditor of the world, swollen with gold and pride, dares, as once did Nineveh, Babylon and Carthage, to defy destiny. Don’t say that these are big words for a small act in the grand scheme of things, that two poor devils, two human atoms are just going to be taken away forcibly from the human community… Their names, that no one used to know, are famous today everywhere; every manual laborer, wage-earners like they were, knows their odyssey and willingly shares their martyrdom. Already registered in the annals of the proletariat by the unusual, horrific length of their torment (which the tyrant Damocles needed to perpetuate his memory in the hatred of ages), now with the pronouncement of a sentence that had expired, these two names, in no blaze of glory, are going to become a symbol, a program, a flag! They will be brought out in every street demonstration; they will be engraved forever in the memory of the people and it is these names, alas!, that will be used to answer us when we try desperately to stammer out some words of pity. For, these are not just two men condemned to capital punishment—as unjustly as they were. It is a principle that is attacked, a principle of such weight, of such important, of such a high moral value that we live in terror of seeing it annihilated. Torture, according to the law, has been abolished by all people claiming to be civilized. It can only be practiced secretly, underhandedly. As soon as a scandal broke out, the criminals defended themselves by denying it. The governments of Romania, Poland, etc, pleaded not guilty in the face of the most damning, the least deniable evidence. The torturers of all fascisms, the blood-dripping hands, argue their innocence. As deviant as they are, they are still subject to the fear of the universal conscience and its verdicts. They lie about it instead of admitting it—which is a pathetic kind of shame—and they “do” it relatively quickly. In Massachusetts it lasted seven years… and when the seven years had gone by, they execute! They even spruce it up. They transfer the men to a special cell for condemned men for ten days before killing them, no doubt to make the agony more painful, that their nights be either sleepless or wracked with nightmares and their days full of agonizing visions! And Sacco has a wife and nine-year old daughter! Next Thursday they are going to take them. For us here they do it at dawn. Obviously it is later over there so that the person will miss the daylight more deeply. They will walk down the corridors and arrive in the room where they will be tied like animals to the lethal chair. The electric current will pass through them and something invisible, something crushing will fall in the balance that weighs the fate of nations. Let’s not talk about individual vengeance. It is something for great crimes and is not very useful as an excuse for atrocious retaliation. I don’t know from where or how or when the response of immanent justice will come for this act dishonoring those about to commit it. The unfortunate thing is that every ruin, every disaster, every plague affects the innocent… They also have to think of this, those who have a cold heart and lash out, even while defending them, with elusive curses that result in all kinds of wickedness. Notes d’une frondeuse, 6 August 1927. In October 1917 hope for social justice was once again kindled by the distant revolution in Russia, which revived in Séverine a passion that she thought had died out forever. She was swept away “like a dry leaf”. Like many others in different camps she saw the revolution that she had dreamed of: a revolution without government, guided by those councils of workers, farmers and soldiers in a direct democracy electing representatives who could be revoked at any time. In reality it was only a temporary façade. As soon as the Bolsheviks arrived and took control of the movement, nothing remained of the Revolution except the name. Between 1917-1920, however, the anarchists supported the Russian Revolution or at the very least stayed quiet. But the resistance to anarchists by the growing dictatorship was already visible. The 1st Congrès de l’Union Anarchiste in November 1920 appaluded the Russian Revolution. The second Congrès a year later in Villeurbanne, unanimously condemned the dictatorship of the proletariat. After the crushing defeat of the Kronstadt revolt in March 1921 and the violent reaction to Makhno’s insurrection in August it is easy to see why. At first Séverine, too, adhered to the cause. 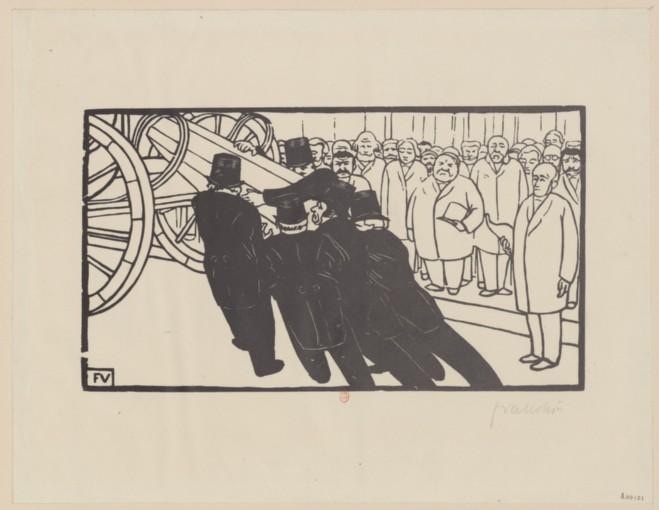 In January 1921 the newspapers announced the solidarity of Anatole France, Henri Barbusse and Séverine to the newly formed French Communist Party. After all these years of fierce individualism, at 65 years old she was joined to a party, in the majority, and back in the fight. She was brought out as the grandmother for the good cause, an icon, assumed to be more passive and forgiving at her age. They wanted her to stay quiet and play along but they had forgotten who she was. Against their wishes, for example, she was the star witness in the trial of Souvarine and Loriot, fierce critics of Stalin. The final straw for her came when the soviet leaders demanded the French Party get rid of intellectuals who belonged to bourgeois organizations like the Freemasons or the League of Human Rights. They were to renounce publicly or be banned from the Party. Well, Séverine had helped found the League of Human Rights back in 1898 during the Dreyfus Affair and would never give up her membership. Before the deadline came up she sent back her card—all illusions about Soviet Russia were lost. Russia had adopted all the mechanisms of the State that were anathema to libertarian ideals: army, police, centralized administration, etc. 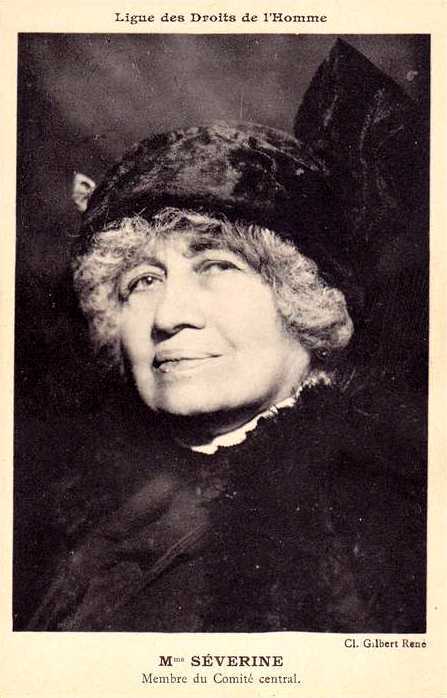 Thus, Séverine, along with most anarchists and the disenchanted socialists, became anti-Bolshevik, anti-Stalin and eventually anti-Hitler, a tyrant as abominable as the Russian. The anarchist movement itself was on the rise after 1918, perhaps more in numbers than in action. The revolutionary magnetism of the years 1880 to 1910 had faded, but rather than die an idle death, it transformed (as it does today) and its influence endured. But the image of the anarchist as a bomb-throwing, chaos-spewing nihilist persisted (as it does today) and they became easy scapegoats for the powers that be. 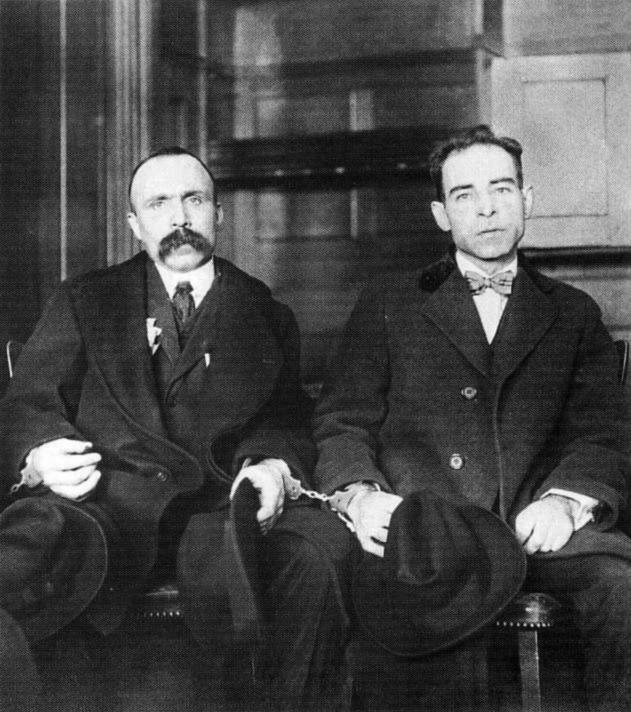 A tragic example: Sacco and Vanzetti, two Italian anarchist sent to the electric chair for a crime they did not commit. There’s no need to retell their story that has become part of international history; the accusation of murder in 1920 in Massachusetts, the speedy conviction, the appeals, false evidence, dozens of witnesses in their defense, the confession of the real criminal, etc. For seven years the case dragged on before the death sentence was finally set for August 23 1927. Their innocence was obvious and protests were held in every major city in America and throughout the world. John Dos Passos, Dorothy Parker, Albert Einstein, HG Wells, George Bernard Shaw and others all spoke out for them. In Japan, Australia, South America and Europe they protested this travesty of justice. In their cells Sacco and Vanzetti were on hunger strike. In France they held a meeting on July 24 1927 at the Cirque de Paris. 20,000 people squeezed in, 10,000 gathered outside. The organizers called on Séverine to preside over this unified demand for pardon from the American government. For a long time she had left Paris to reside in her home in Pierrefonds, but this cause brought her back into the fray, once again. If at 72 years old she could still serve for something, it would all be worth it. After the meeting at the Cirque de Paris Séverine stayed in Paris. On July 26 she and Marguerite Durand were invited to lunch at the Maison des Jounalistes, the first time such an “honor” was accorded to women of the press. But the anarchist victims of American injustice were center stage. To the global protests and calls for lenience America turned a deaf ear and sent the two innocents to the electric chair. Violent confrontation with the police broke out that night in Paris, 100 people wounded and 200 arrested. Séverine regretted this outburst of violence because it was too late—there was nobody to save.